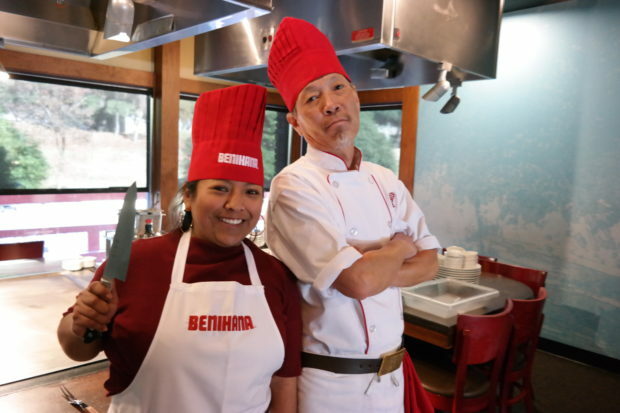 Whether your New Year’s Resolution was to learn how to cook, or you’re looking for a head start on a unique Valentine’s Day gift, Benihana has you covered. 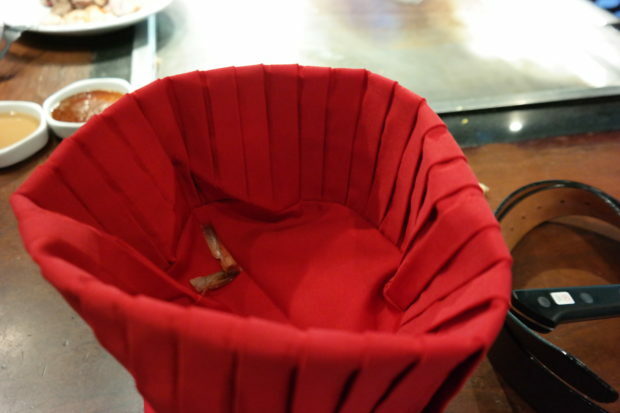 Be the Chef is an immersive dinner experience like none other. Here’s the gist. 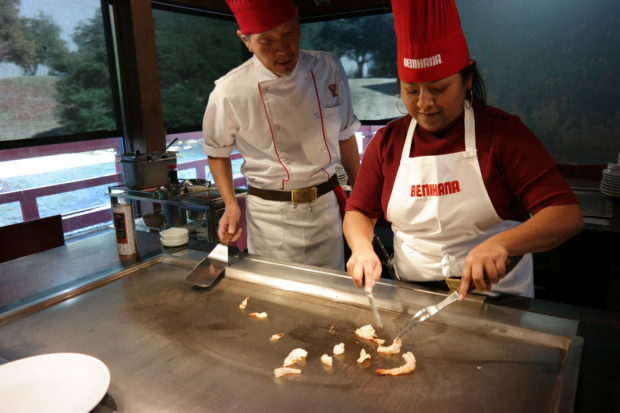 You team up with a Benihana chef for a hands-on lesson on the skills of teppanyaki, including some of Benihana’s well-known tricks. After your lesson, it’s your turn to show off your new skills in front of three of your own guests! That’s right, you only have to worry about impressing (or in some cases embarrassing yourself in front of) your own friends and family. 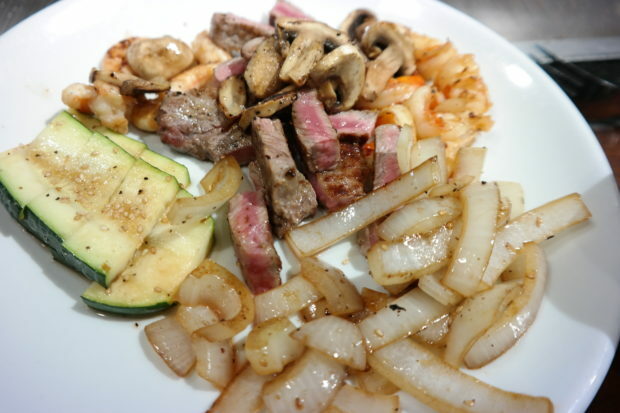 Your “learn how to cook” resolution just leveled up! 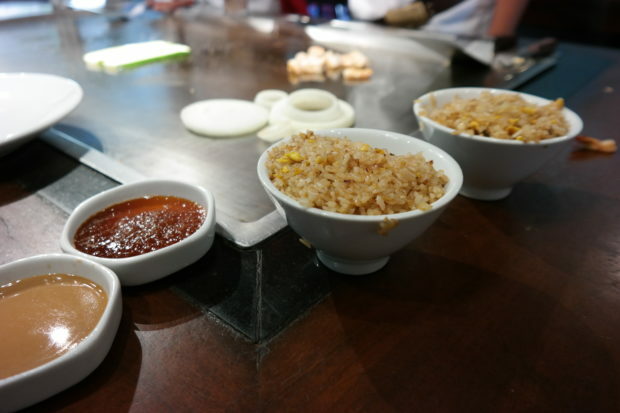 During your training, you’ll learn how to cook vegetables, shrimp and steak, and (drool) fried rice. Plus, you’ll walk away with a few skills up your sleeve, including spatula flips and twirls, shrimp tail tossing, and the onion steam train. And don’t feel bad if your tricks don’t play out as well as they do in your imagination … trust me and my 1/10 shrimp tails that I successfully caught in my hat. It’s an experience that you and your guests will most certainly remember, and makes for some great photos and videos that ensure you never forget. Don’t hesitate to sign up for a class! The “Be the Chef” packages start at $200, which includes cooking lessons for the chef and dinner for the new chef and three guests. Additional guests are $50 each, or sign up for a chef + seven guests and get a $40 discount. Order a gift card and schedule your Be the Chef experience today!